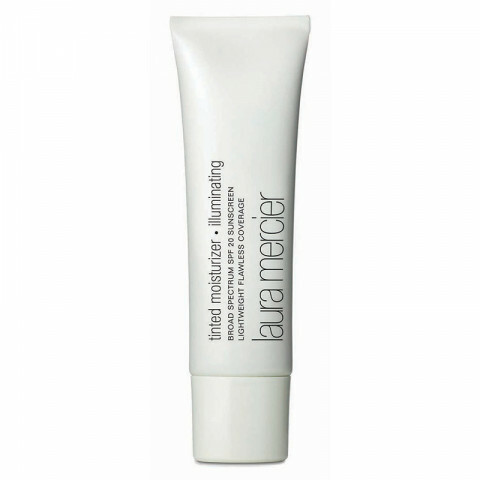 Laura Mercier's Tinted Moisturizer-Illuminating is a perfect blend of skincare and makeup. This lightweight formula hydrates skin with barely-there colour for a luminous radiant glow. Perfect for all skin types. I use this daily with a primer and finish with mineral veil and I look amazing! I am impressed with the formula on this tinted moisturizer. It is hydrating but not greasy or heavy. I would call it a whipped or soufflé texture. I really like it and it has the perfect amount of light coverage for an easy makeup day. Also the bronze-y illumination is just beautiful. i absolutely love this tinted moisturizer. it is great especially in the winter months when the skin is looking a little dull and dry. very illuminating but does not make you look too shiny. gives a healthy glow to the skin. i have pale skin and bare radiance is perfect for me!